Towards the end of October, my partner and her teaching colleagues were crestfallen when Educating the East End aired its final episode. I hadn’t seen it, but I had been aware of it. I had read heart-warming reviews about the brilliance of this Walthamstow comprehensive school in the national press; and had been told by a producer friend that this is how fly-on-the-wall TV should be made. So, when my director mentioned that he might just be able to wangle an interview with one of the stars of the show, I jumped at the chance. It was a revelation and a joy to discover that Educating the East End is the most wonderful antidote to reality TV imaginable – and a break from the go-getting obsession with ‘self’ that is the mark of much of this genre. In contrast, this series celebrates the vital importance of schools, pupils, and the communities that they serve. 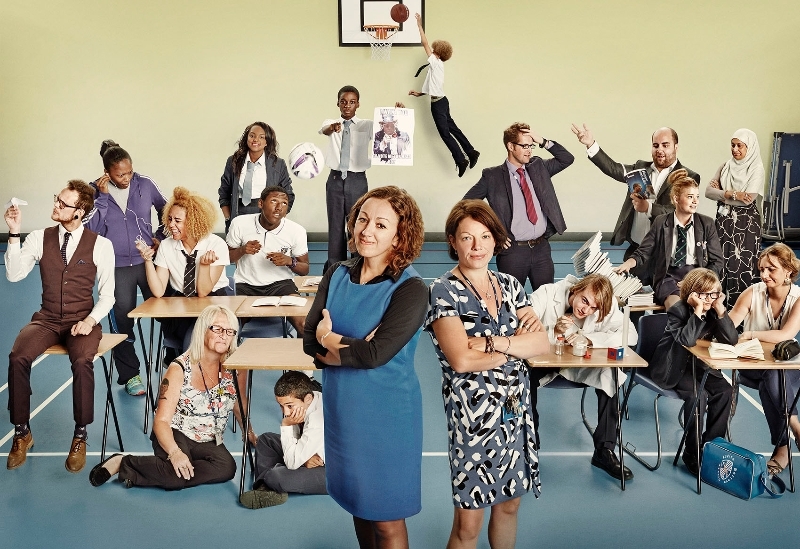 From senior management, to school staff; from pupils, to parents; Educating the East End is a singular triumph that champions the nurturing power of a school that really does place the pupil at the heart of everything. To bear witness to the school’s holistic approach and to see the joy that its staff and pupils gleaned from each other was a rare privilege. To see the progress that each pupil made – whatever their background, ability, or disability – was remarkable. Against a landscape of ever-present change in education, it is genuinely inspiring to see what a pupil-centred approach really looks like. To speak to Frederick Bremer’s deputy head (Emma Hillman) and SENCO (Francesca Richards) and realise that this has also enabled them to navigate the SEN reforms relatively easily was instructive. I hope that you find this piece illuminating. I also hope that, if you haven’t already seen the series, then you might take a little time over Christmas to sit down and watch an episode or two. Believe me, it’s worth it. After rigging your school with cameras for 37 days, does Ofsted hold any fear for you? How did you manage to realise such a supportive, pupil-focused/whole-school approach? Has your whole-school/child-centred approach meant that you’ve been able to navigate the SEN reforms quite easily? Did Francesca get any sleep? Have your day-to-day responsibilities changed since the SEN reforms kicked in? How would you advise SENCOs and/or SMTs to adapt to this legislative landscape? What steps should they take? Christopher’s story is symptomatic of your pupil-centred/whole-school approach. How do you do it? What’s the secret? What is life like after the cameras have gone home? For 37 days, 65 cameras recorded the trials and tribulations of staff and students at Frederick Bremer School in Walthamstow, east London. Based on the BAFTA-award winning 2011 Educating Essex, the first of eight one-hour weekly episodes was broadcast on 4 September 2014 to critical acclaim. What I find remarkable, is that, throughout the series, your quotes and your colleagues’ quotes, reflect a whole-school approach that’s overwhelmingly supportive and, most critically, pupil-focused. It places the child at the heart of everything – whatever their level of ability. How have you got to that place? How have you organised your roles to realise such an effective approach? Emma Hillman: “We are a proud community school. Our pupils come from our doorstep. This community is riddled with city issues: poverty, overcrowding, unemployment. So we want these children to leave this school with every chance that other pupils have from other areas in different social and financial circumstances. We are also lucky to have such an amazing group of teachers and support staff – who are committed to doing all of the pastoral stuff that you saw on the programme. Emma Hillman: “Yes, I agree. We have adapted well because we have got onto it very early. We are a person-centred school with a very person-centred LA (Waltham Forest). We were writing and shaping our SEN policy over the summer holidays and we have a governors’ sub-committee ratifying our policy tonight. On the first day of term, we also commandeered a whole training day where staff spoke about SEN and where our SENCO (Francesca) outlined that her new role and responsibilities would consist of checking and supporting staff SEN practice, not doing it for them. “At the end of the day we all shared a lovely moment. We watched a film of our new pupils with statements (shot at the end of the previous summer term) talk about their strengths, weaknesses, how they like to learn, who they were, what they liked and what they didn’t like. And the power of this approach, is that it imprinted the importance of each child’s individuality and needs (and our child-centred approach) on every single member of staff before the start of term from 1 September. Have your day-to-day responsibilities changed since the SEN reforms ‘kicked in’? Francesca Richards: “Yes, there have been adjustments. I took over the SENCO role this September and have been looking at implementing the new Code of Practice alongside broader practical and procedural change that was not in place in the department already. So, this term, I have been embedding sustainable assessment, in-class support and intervention practices by going into classrooms, watching what’s working and planning with teachers to make sure that students’ needs are being met in the classroom. At present, we may lack time to do all of the detailed planning, but an inclusive approach combined with effective classroom support (particularly in maths and English) means that we are able to meet the needs of our students. Christopher is one of a number of students with autism at Frederick Bremer. 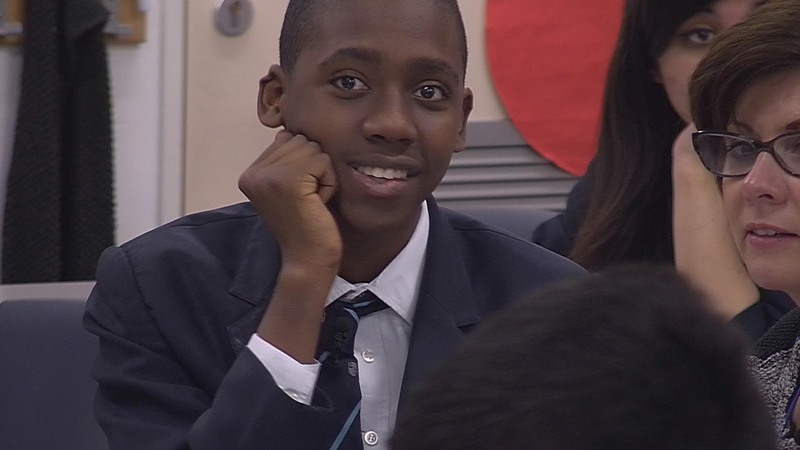 In the eighth episode, we discover a bright, charismatic and much-loved pupil on the cusp of transition in Year 10. Through the exceptional pupil-centred support of TAs, teachers and the whole school, we watch as staff nurture and prepare him for life beyond the school walls. If you haven’t seen it already, you can watch Christopher’s story in episode eight of Educating the East End. Christopher’s story (in the final programme of the series) is symptomatic of your school’s pupil-centred/whole-school approach, i.e. thinking outside of the box and putting pupil progress, development and security at the heart of everything. How do you do it? What’s the secret? Emma Hillman: “We are a solution-focused school. The head teacher is very clear about this and insists that we shouldn’t bring problems to people. She insists that, when you’re in line management, you manage in a solution-focused way. So you shouldn’t make problems for those who line manage you and you should always seek solutions for those who you manage. It’s a very good way to unstick things and to think outside of the box. We allow people to take risks, so long as they come up with a solution that is creative and has impact. Because, simply put, we’re a very creative school. Emma Hillman: “Apart from the holes in my wall, things have been going well. The kids hold their heads up high, there’s a tangible pride in the school and there’s also noticeable pride and interest in the local community. To illustrate this, my daughter goes to a local primary school and lots of parents keep approaching me to say that, before the programme, they wouldn’t have considered sending their child to Frederick Bremer. However, now, because of the vivid illustration of the school’s personalised approach in Educating the East End, they are very keen. “Essentially, the school is in a really positive place. The students are really proud and we’ve held on to all of the students who featured in the programme – with the exception, of course, of those who were in their final year. It’s put the community on the map, it’s shown that the real strength of the school is in its diversity. Our kids aren’t racist; they aren’t homophobic; they’re used to living in a diverse community and being taught in a diverse school. I not only hope that that continues, but I hope that other people – from outside London – who have watched the series have realised that diversity is a real strength. Emma Hillman (deputy head teacher (front right)) stands next to Jenny Smith (head teacher (front left)). Emma has extensive experience of teaching and SEN. With a degree in psychology and a PGCE in French, she started off her teaching career in a special school teaching French and humanities. Following this, three years as an SEN teacher and literacy coordinator in a secondary school led to a postgraduate degree and an educational psychologist post in Croydon. In the past decade, her ascent into senior management has seen her work as an assistant head/SENCO and as a deputy head. She joined Frederick Bremer as deputy head in 2010. Francesca joined Frederick Bremer as an assistant SENCO in 2012 and was promoted to SENCO in September of this year. Previous to this, her first post was as an A Level and GCSE English teacher at Matthew Arnold School in Oxford. Francesca has an MA in English Literature and a PGCE in Secondary English from the University of Oxford. She also holds a first-class undergraduate degree in English from the University of Warwick.